The Teufel Aureol® Real is an open circum-aural (around the ears) headphone with velour earpads. It has interchangeable headphone cables and come in white and black versions. A short cable for portable usage with a (male-male) 3.5mm stereo plug to 3.5mm stereo plug and a longer cable with a (male-male) 3.5mm stereo plug to 6.3mm stereo plug (all gold plated). The sheath is red cloth and the cable is thin and supple and above all virtually free of microphonics. This means the cable rubbing against clothes isn't audible where in a lot of other headphones this can be annoyingly loud. The connectors fit sturdy enough so they don't fall out easily when pulled on slightly but do come out when yanked harder which is a good thing. Easy to change wiring as well when needed. The wearing comfort is high and the headphone is very light in weight (185 gram). The clamping force is just right IMO, not too tight (may lead to headaches) and not too loose so they fall of your head or move position when moving the head. The velour pads are comfortable and sized for 'average' ears. So those that have protruding pinnae and hate it when the drivers touch the Pinnae should look elsewhere (pad height is 20mm). Those with very big ears may not be able to tuck them in the pads as the inner diameter is 50mm. The headphone is open and thus sounds from the outside are easily heard but it also works the other way around. Those around you will clearly hear what you are listening to which may not be appreciated by those around you. The impedance is around 50 Ohm nominal and suited to be driven directly from portable equipment and from desktop amplifiers. The sensitivity is good enough so it will play loud enough on most small DAPs (such as Sansa Clip for example). 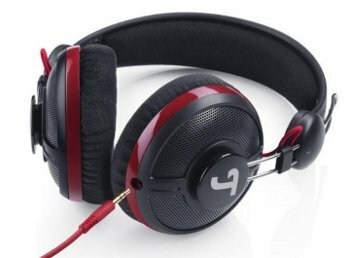 The headphone has 44mm drivers (made by Teufel) and a sensitivity around 102dB @ 1mW (0.22V) en is rated for 0.2W (200mW). At 200mW (3.16V) it will reach around 125dB. The specified frequency range of '20Hz to 20kHz' is true within +/-6dB which is better than most other headphones out there. Comfort and specs are good just as the finish is. Due to the light weight and used materials (plastic with some metal parts) it feels cheapish and the modern stylish look with red accents places it in the 'mobile youth' target. Despite its fragile feel there is no squeaking headbands and adjusting it to your head all works pleasantly. Break-in.... Break-in is often mentioned, in most cases where people claim headphones need hundreds of hours break-in before they sound good can be attributed to pads compressing over time or users getting used to the sound. 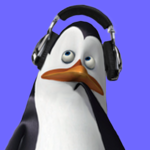 In some cheaper headphones I have noticed some change, mostly in the lows in the first few minutes to max an hour. To test this headphone it is measured before it is used and left on the test rig while playing loud music for at least 4 hours. After that it is measured again (left channel shown only). As can be seen the highs have changed somewhat and there is a negligible difference in the lows (< 0.5dB). Not enough to be obvious and repositioning the headphone will give larger differences. Because the impedance of a headphone is not constant over the entire frequency range but rises in the bass area (resonance of the driver) and rises in the highs because of the inductance of the voicecoil most headphones sound different from various output resistances. These usually range between 0 and 120 Ohm depending on brand and type of amplifier. Driven from a higher output resistance amplifier we see slightly (about 2dB) more lows (bass) and a slight increase in the highest treble region. Since Teufel doesn't use retailers the price should (could) be relatively low but will also be 'fixed'. The fact that Teufel offers you free shipping and the ability to try it and return it free of charge and has to do their own advertising as it isn't on display in shops raises the price again. How does the Aureol® Real compare to other headphones on the market ? Is it competitively priced (beats more expensive headphones), priced in the appropriate range or overpriced at € 100.- (£ 80.-) ? Bass is just enough, good mids, open, clear mids upper mids show faint amounts of distortion, highs extension is good but not refined, a bit course. No obvious resonances, clean CSD, measures well (with felt), no squeaking, cheap looks and feel. The plot shows a more than decent channel balance Left channel, Right channel and shows a slight raise in the lows and a set of higher peaks in the treble region. 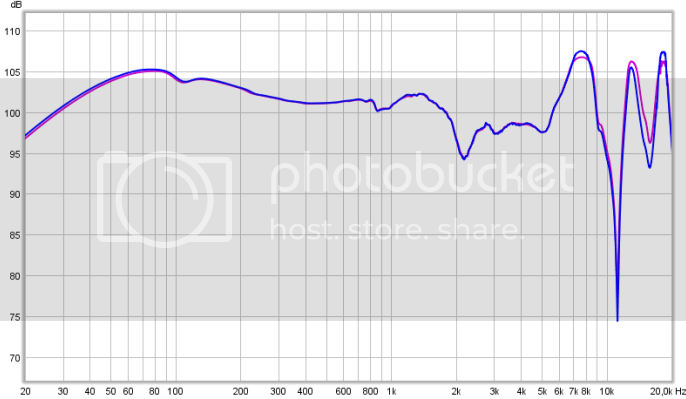 The mids 200Hz to 2kHz is quite good and because it measures quite flat in this area means voices and instruments are reproduced quite accurately. The erratic and peaky behaviour in the treble region (5kHz to 20kHz) shows a sharp dip which may be a measurement artefact but could also be 'real'. When a headphone has a raised treble area this usually points towards a 'detailed' sound signature. Extension above 12KHz usually indicates the sound is 'airy'. BUT when the highs are too high in level listening fatigue can set in quickly. At a first listen the highs seem indeed a bit over emphasized but not bright nor fatiguing, just a bit too much. This could be lowered by a few dB but doesn't improve the quality of the highs. No matter what changes I made (could get it to measure really decent) the highs always lack sparkle, dynamics and 'texture'. What I mean is cymbals that are well recorded you can really hear the metal is made off and 'sparkles' if needed. With the Real all cymbals sound the same with a non-vibrant 'ssshhhh' sound. It needs to be turned up in level to sound 'better than average'. At lower level it sounds dry and lifeless. At higher levels the undefined highs start to lean to 'shouty'. 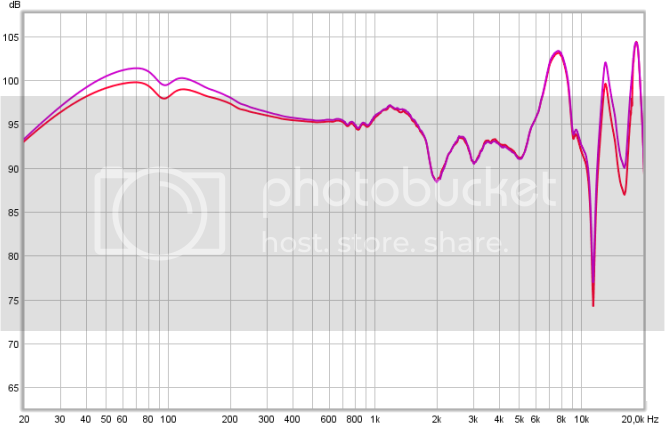 Adding a little EQ makes things worse, it doesn't improve like most headphones do. The Real is 'tonally correct' but not 'fun', not lively and not dynamic either... just on the 'polite' side. HD438 (slightly modified) absolutely comparable and HD438 is a more sparkly version of the Real (but has a filter to lift the highs), The newer HD439 has a little more bass and might be more fun than the Real. HD681 (latest filter, velour pads) Bass level is slightly higher, quality as well, mids are on par but Real is slightly less colored, highs are much better and sparkly on the HD681, HD681 is fuller bodied, HD681 is shoutier at higher levels though but even with all the mods and pads still cheaper than the Real. HD681EVO (modified, velvet pads) bass about the same in quality but EVO has much more bass in quantity, mids of the EVO are slightly dark coloured but Real is slightly 'edgy' in comparison, Teufel is better (more realistic), EVO is more fun. HD650 warmer, fuller, better bass, less presence than Teufel, better quality highs, Teufel more neutral (like HD600) on the mids. DT990 (600) DT990 is not as good in the mids (Real is better), a bit warmer and fuller, far more sparkly and vibrant in the highs. DT990 is more fun. Real has better mids and equal quality but less quantity bass. Plays slightly better from 120 Ohm, a tad fuller/warmer. It could be used as an open monitor and for those who don't like to hear fat bass and detailed highs but only want better than average mids it might be a decent headphone. For the price it is going and knowing you can get very similar (even better in the highs) for 60% of the price (namely a Sennheiser HD438 or if you want more 'body' an HD439). I do not recommend it for those that seek audiophile qualities. The first one I received had channel imbalance problems. Funny thing is that it doesn't look like it lacks sparkly on the graph Frans. Between 100 and 2kHz looks very good. Ragged up top with a typical hump in the bass. Taking the peak down on 7.5 might help and anything else clipped up there could be a bonus!! Then again, it would lose a bit more shimmer. I guess they see it as a hi fi headphone? Yes they see it as a hifi phone, judging from the piccies on their website for yuppies on the go. I tried everything from various felt constructions to EQ e.t.c. as well as removing and altering a foam ring around the driver and blocking the paper ports. What is seen is that the sharp dip shifts up and down. I can get it to measure quite decent but regardless what is done to it the cymbals keep sounding 'sshhhhh'. It seems more like a driver thing than enclosure effect. too bad, I hoped to find a good sounding headphone but stumbled on good mids, just enough but good quality lows but alas the top-end is lacking. HD558 Frans! It's a well balanced headphone and doesn't have that typical Senn rolled off sound up top. Very comfy as well. Is this company a new one? Never heard of them before. I have to admit I never heard much about this all speaker brand. The headphones seem relatively new... I think they need some more R&D/experience for those though. You can try any of their stuff for 8 weeks in the comfort of your home though. Welcome. Quick messages/chats but this area is emptied from time to time so nothing permanent here! !